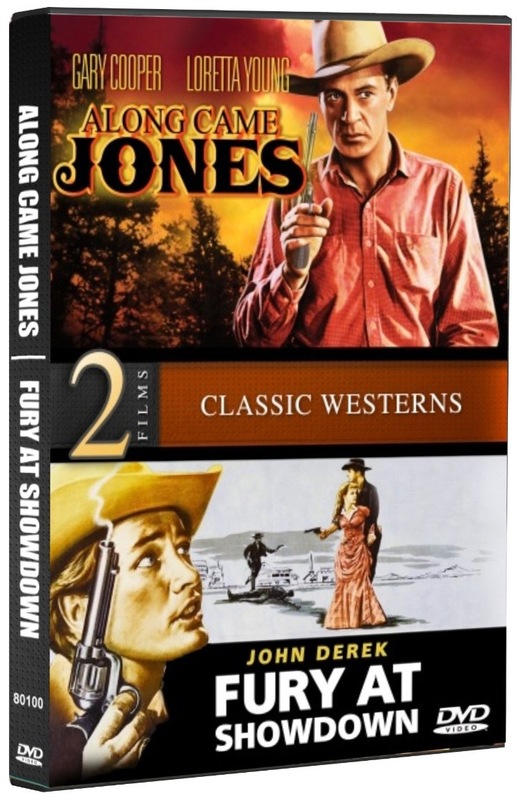 John Derek | 50 Westerns From The 50s. 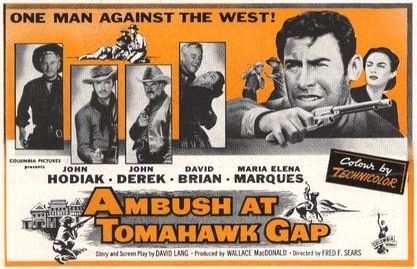 50s Westerns DVD News #108: Ambush At Tomahawk Gap (1953). 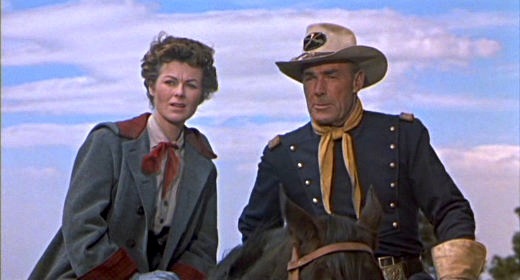 February 5th will see the release of Columbia’s Ambush At Tomahawk Gap (1953), an excellent little Western from Fred F. Sears. Thanks to Columbia, it’s now very easy indeed. This is another one I highly recommend (and that appeared on the Wish List we all put together last month). 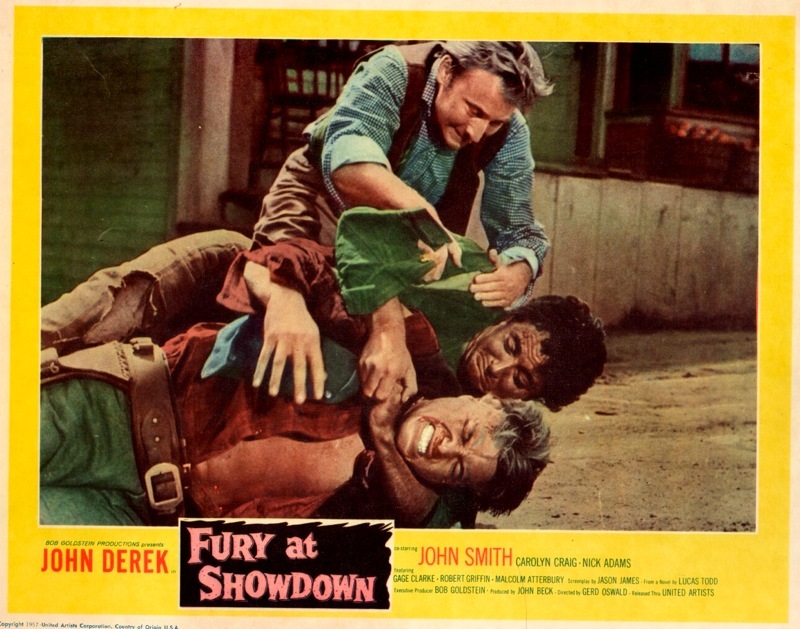 So, while I’m looking this gift horse in the mouth, how’s about Fury At Gunsight Pass (1956)? 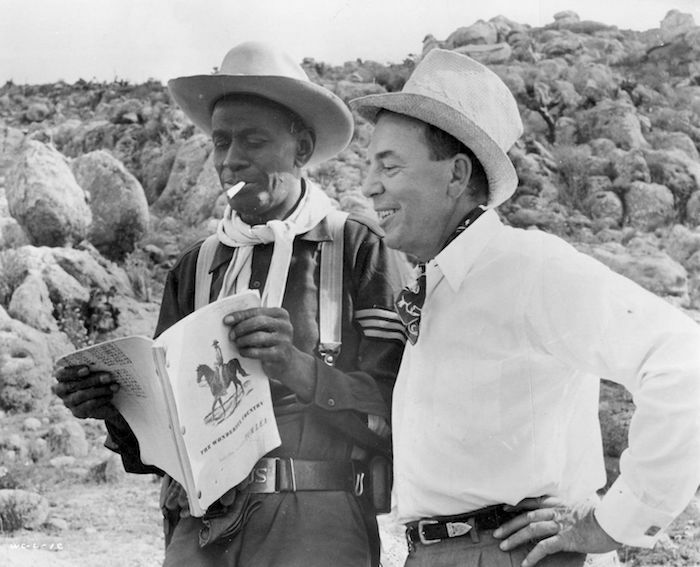 Fred F. Sears And Ambush At Tomahawk Gap (1953). 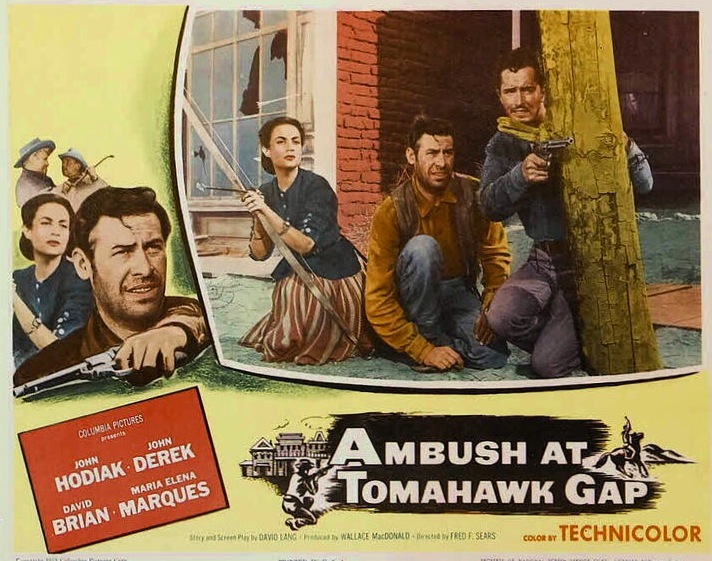 Ambush At Tomahawk Gap (1953), starring John Hodiak and John Derek, is a minor Columbia Western directed by Fred F. Sears. And it’s a damn good one. 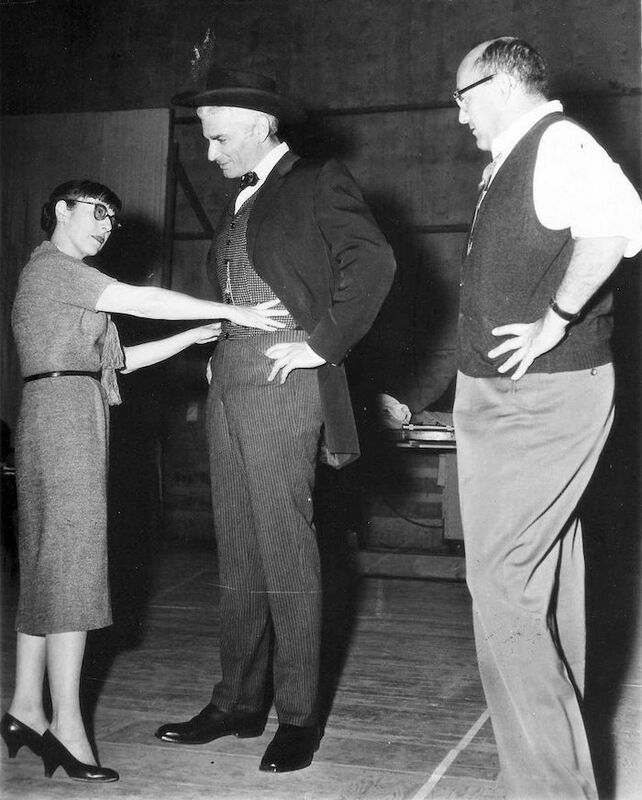 Fred F. Sears with Joan Taylor on Earth Vs. 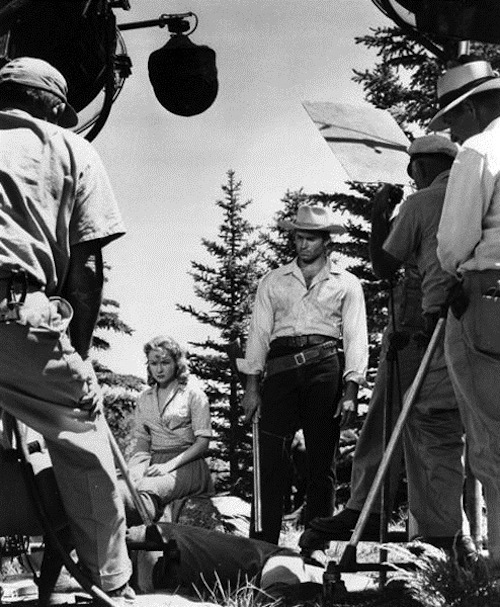 The Flying Saucers (1957). 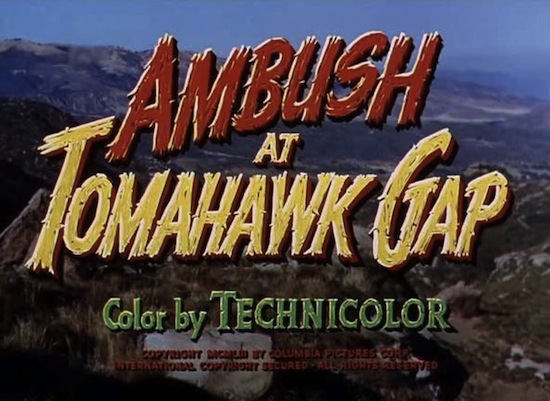 Ambush At Tomahawk Gap gave Sears a better cast than usual, a slightly bigger budget and Technicolor. 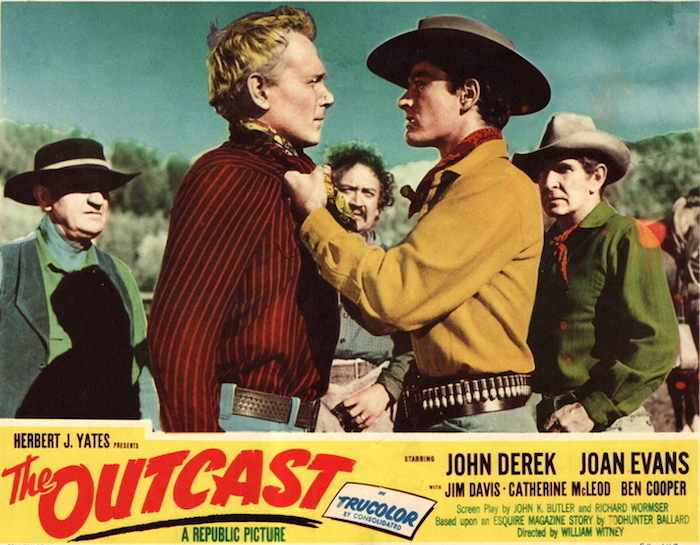 It makes good use of a familiar plot — a group of ex-cons battle Indians and each other as they search for their buried loot — adding plenty of suspense and a mean streak a mile wide. This is a surprisingly violent film. 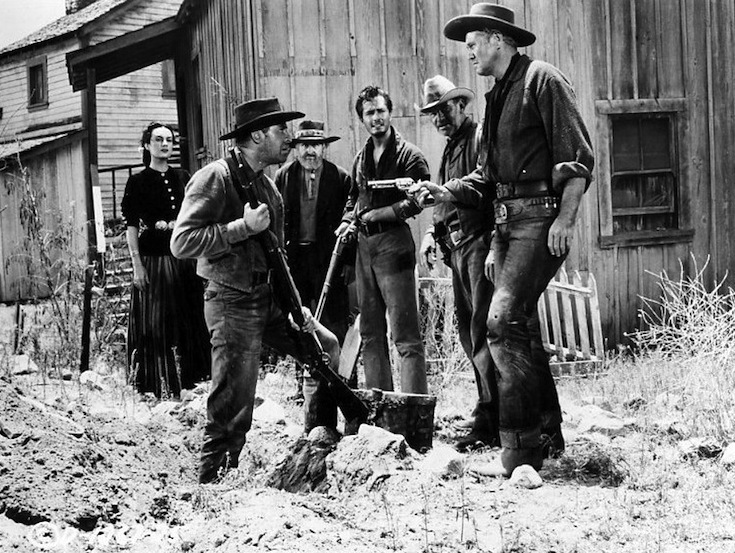 It does what many good low-budget Westerns do: build a simple story around a small cast, create some tension, then pile on the action. 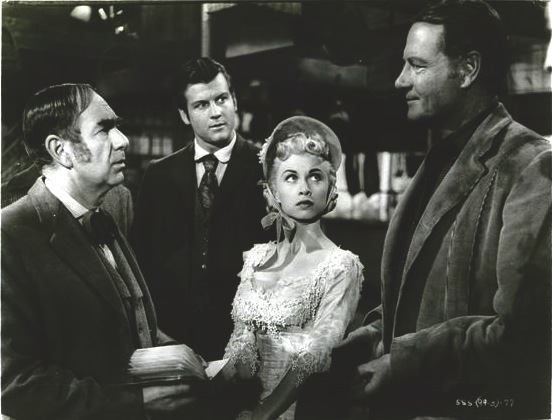 Sears had an excellent cast to work with. 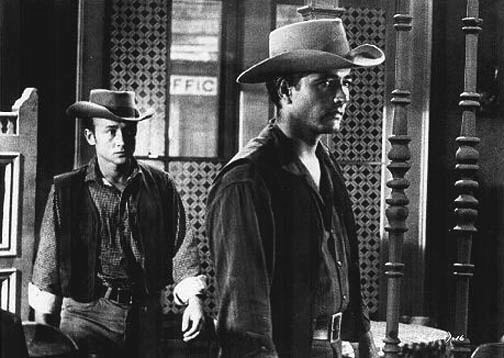 Not long after the release of Ambush, John Hodiak would appear on Broadway to raves in The Caine Mutiny Court-Martial; he had a fatal heart attack in 1955. (He hated working with horses.) 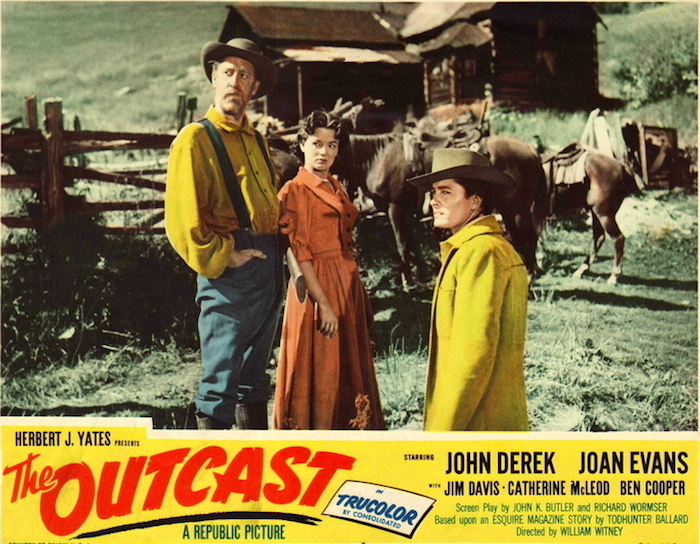 John Derek was an promising young actor, and he’d appear in a number of excellent 50s Westerns. 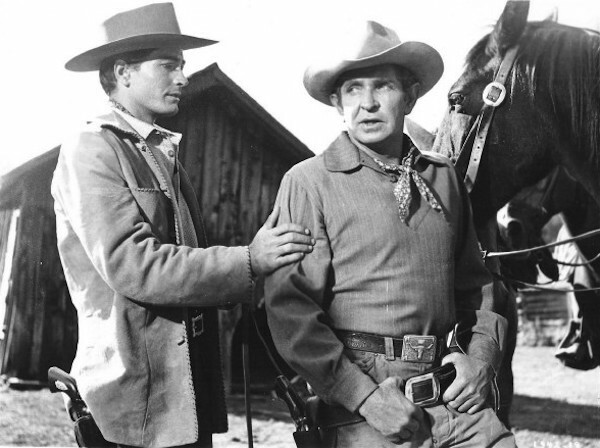 David Brian, who was a year away from appearing in Dawn At Socorro (1954), had a long, successful career as a character actor in movies and TV. 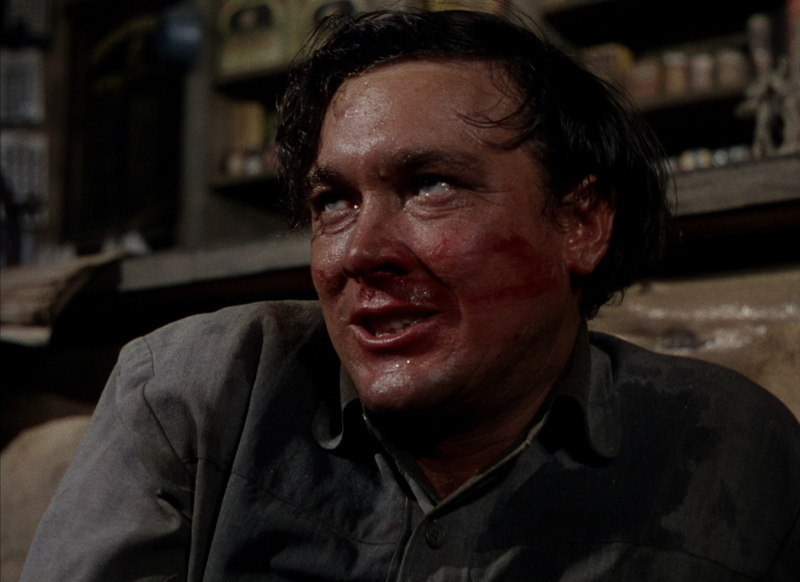 Ray Teal is now known as Sheriff Coffee in Bonanza, but he turns up in hundreds of films (he’s terrific as the bartender in One-Eyed Jacks). María Elena Marqués was a noted Mexican actress. 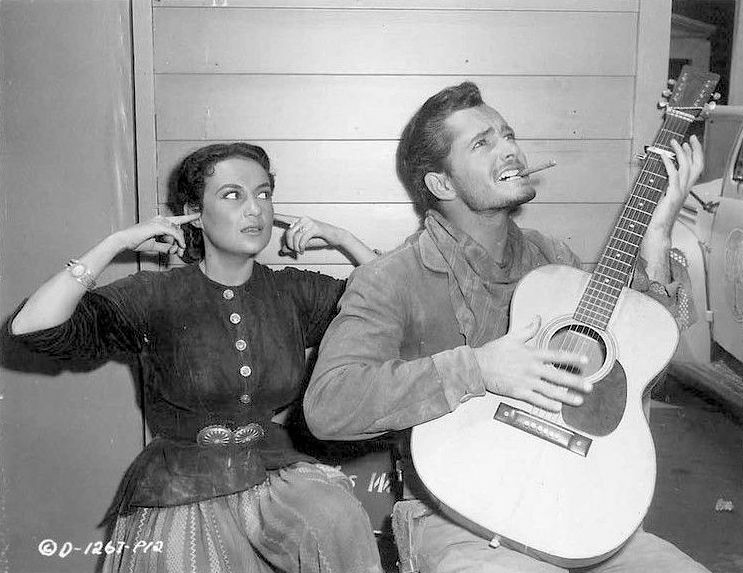 This and Across The Wide Missouri (1951) are the only American films she made — both times she played Indians. And the great John Qualen is on hand as a grizzled old prospector. 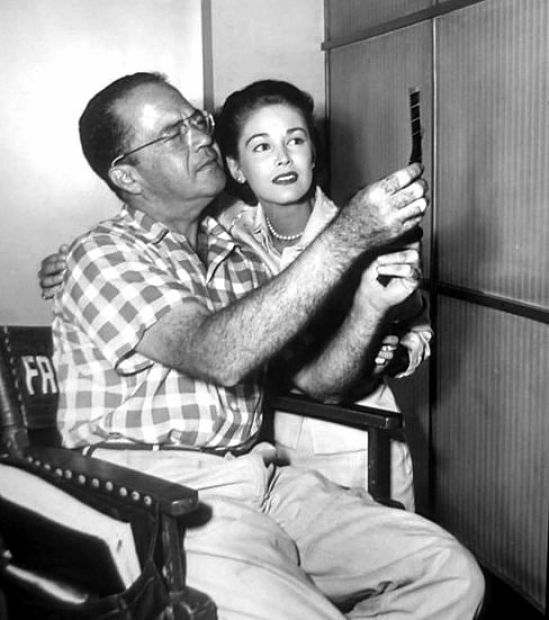 Helping Sears make the most of this were cinematographer Henry Freulich, who shot lots of cheap Technicolor Westerns for Columbia, including William Castle’s Masterson Of Kansas (1954). 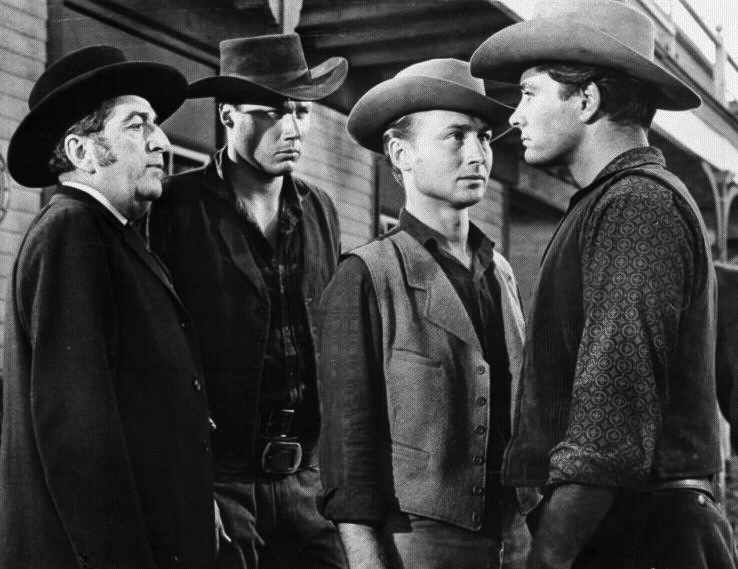 Writer David Lang has a long list of credits — 50s Westerns such as Fury At Gunsight Pass (1956, again with Sears) and TV like The Rifleman, Cheyenne and Maverick. Ambush At Tomahawk Gap is a picture that’s easily overlooked — just one of many Columbia Westerns from the 1950s — but offers so much for those willing to track it down. Hopefully, a DVD release of some sort will make that easier.